If you’ve got a shop, it’s a certainty that people are going to ask you to do furniture repairs. It comes with the territory. The next time a piece comes into your shop that has round tenons, and they’re loose tenons, you’re going to want to try this repair. 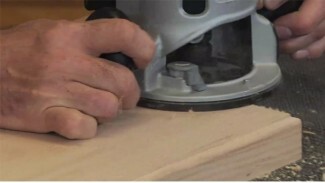 It provides an easy way to tighten up loose tenons, by adding a simple shim. Why not add more glue? Some people would look at a repair like this and try to do the fix by simply adding more glue to the joint. Sorry, but that ain’t gonna work. The piece will be coming back to your shop for ANOTHER repair in no time. Standard yellow glue can only fill tiny gaps; nothing larger than a few thousandths of an inch. Paper is about .003”. If the gap in the joint is more than that, yellow glue won’t work long term. Instead you’ve got to build out the loose tenon to create a better fit, which will allow the glue to do it’s job. Tenons that are square or rectangular are relatively easy to fix. Just glue on a piece of veneer, sand, chisel or plane the veneer to get the fit you want, and you’re ready to go. Round tenons are a different story. 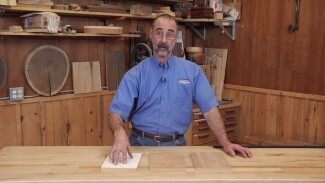 The technique shown here allows you to create a loose tenon wrap that will create the perfect fit. 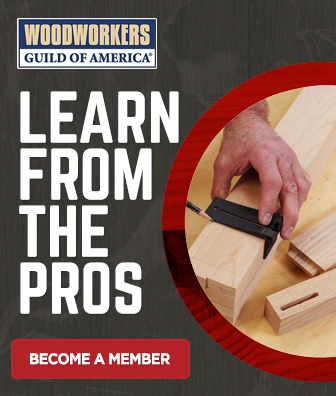 How do you know when you’ve got the tenon right? You should be able to slip it into the mortise with hand pressure, not requiring a mallet. When you gently pull on the parts, friction in the joint should keep them together. They shouldn’t just fall apart. Creating tenons from scratch? Be sure to check out this useful info on dimensioning the tenons. 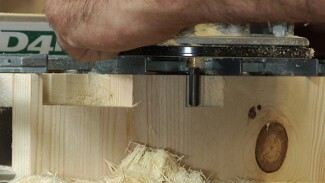 Our quick rule for tenon joinery is indispensable. Thanks very much for this tip. I have a couple of nice oak chairs that unfortunately are used on a carpeted floor so the rungs are continually coming loose. This looks like it may be the solution. That is a new way I had not seen before. I will have to try it. I have split the tenon’s and put wedges in to spread them. The last time I used CA glue without disassembling the joints. Both methods seem to work too.